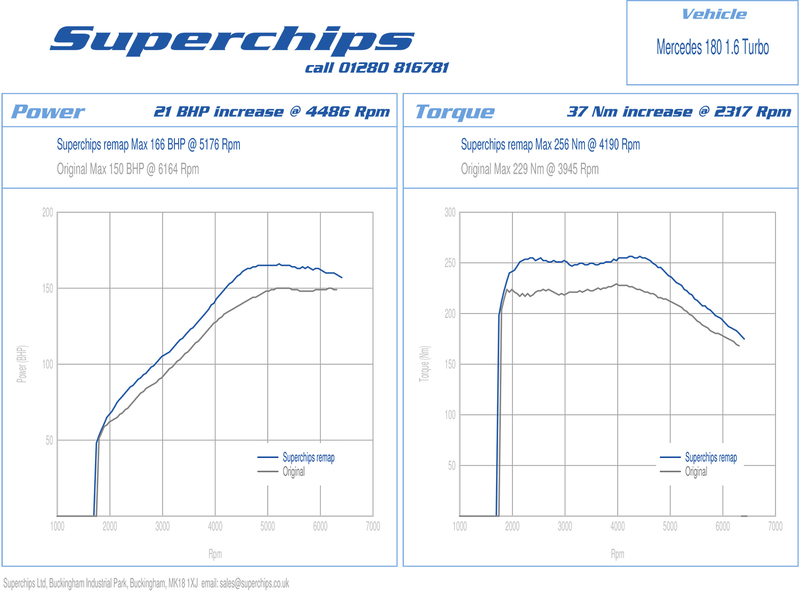 Following the introduction of two remaps for Mercedes-Benz models last year, global ECU remapping leaders Superchips has now introduced a conversion for the 180CGI-designation engine, found in the A, B and CLA model ranges. The conversion releases an additional 21bhp at 4486rpm from the 1.6-litre turbocharged petrol engine, with a complementary gain in torque of 37Nm at 2317rpm. Not only does the power curve for the conversion rise more steeply, it also displays greater power and for longer than the original settings. The new torque curve irons out some of the inherent variations in the original while maintaining peak torque for longer. The Pro2 device is fitted to the vehicle by one of Superchips’ nationwide dealers and the price of £399 includes labour and VAT. The conversion is covered by Superchips’ no-quibble seven-day money back guarantee and the Pro2 device itself is also covered by Superchips’ warranty*.